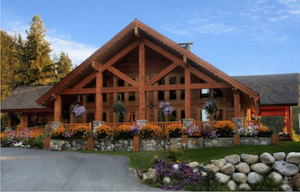 Nestled in the Cascade Mountains near Leavenworth and Lake Wenatchee is a tranquil and rustic destination, the Mountain Springs Lodge. The inn is the perfect backdrop for a variety of winter adventures, corporate retreats, weddings, conferences or simply a place to escape, relax and unwind. BizX members can take advantage of a Romantic Sleigh Getaway special during the month of February. This package includes a 1 night, mid-week stay in either the Mountain Retreat Suite or NW Territory Suite, and a sleigh ride for two. A complimentary bountiful breakfast basket will be waiting for you in your room upon arrival. The cost is $235 BizX, plus tax, with additional nights available at only $195 BizX plus tax. Contact the BizX Travel Department to take advantage of this special opportunity. The Vintage Inn, built in 1888 is located in the heart of Port Orchard and has a fascinating local history. The inn has 6 different room options; each uniquely decorated and designed to pamper you, with fine linens , down comforters, free Wi-Fi and complimentary coffee and tea. The Vintage Inn offers free concierge service to help you plan activities to take full advantage of Port Orchard and surrounding areas. This is truly a destination where you can lose yourself in the beauty and tranquility of the Pacific Northwest. Contact the BizX Travel Department to arrange your stay and then visit the Port Orchard Chamber of Commerce website to see a calendar of events and local attractions. Seated amid 5 lush acres of land, and within minutes of the Sonoma and Napa wine country, award-winning restaurants and numerous tourist attractions, is the Inn Marin. This is a charming property with a resort-like setting and the ambience of a boutique hotel. The hotel features an outdoor pool and a beautiful garden patio where you can relax after a day spent discovering nearby Old Town Novato’s historic buildings and shops, Mt. Burdell Open Space Preserve, or local wineries. 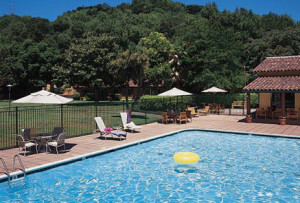 Inn Marin is located just 30 minutes north of San Francisco and affords easy access to area attractions and events. Contact the BizX Travel Department to book your stay at this truly unique property.